These sound like really great entertainments to follow up on! I love that song. snit it a great song. I been singing it to myself all month since I reference it in my WIP. I’ve seen Street Kings and I’ve watched Homicide a couple times. Just too many great shows out there. Thanks for the kind words and participating in my blogfest! You are welcome Alex. I’ve been reminded of some and introduced to others all day. Hi Sarah. Me, too. 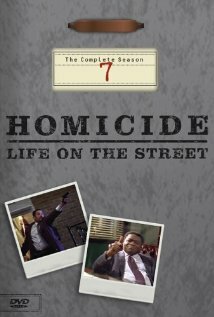 Homicide was where John Munch from Law & Order SVU’s character began and when they cancelled the show, he moved over to SVU. I’ve not heard of any of these. Thanks for the recommendations! Hey Margo, you are welcome. I’ve been saying that all day going throughout some of the Underrated posts. I remember Life on the Street and that TV show though I didn’t watch either. I have a friend who is an insane Reeves fan. Susan, Do they admit to being fans? haha. Hello! Thanks for sharing these picks for the Underrated Treasures Blogfest. and I agree, Alex has some great blogfests. Susanne, the best in the business. Alex is great. Thanks for stopping by. Street Kings was great. I watched that with my husband when we were first dating, so great memories. Awesome choice! Hi S.L. Happy I could bring you a good memory. I’ve been doing that all day looking through these Underrated Posts. Hey Chrys. Isn’t it a great song? Now I can’t wait to check out your novella. I loved that movie. Hi Sydney Aaliyah! I absolutely love that song! You’ve picked some great choices for this blogfest. I think I may have watched an episode or two of Homicide, but don’t quote me on that. And yes I will say it, I am a Keanu Reeves fan, ok? You know, Matrix Trilogy, Constantine, and of course, Street Kings fame. LOL. Thanks for participating in the Ninja’s blogfest! 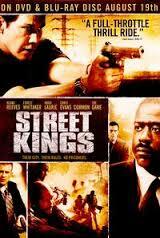 I’ve never seen street kings, and I think I really need to. I love those actors. I like Keanu Reeves, too! I haven’t seen that film though. I really like that song. It has me grooving at my desk. Haven’t watched the movie or TV show, but they sound good. Will try to check them out. Thanks.